In his book about Jewish-immigrant Herman Stern, historian-author Terry Shoptaugh (professor emeritus of history at Minnesota State University Moorhead) provides a rare, grassroots look at how some Americans reacted to the Holocaust as it developed. “You Have Been Kind Enough to Assist Me” tells the story of Herman Stern, a North Dakota clothier who rescued about 140 German Jews from the impending Holocaust in Europe. Born in Germany in the 19th century, Stern immigrated to North Dakota in 1903 and took a job working for an uncle at Straus Clothing. 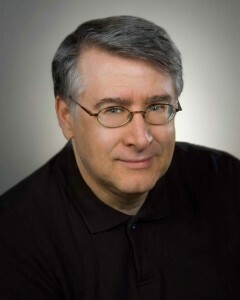 Stern later became co-owner of a clothing chain and managed its branches from the home store in Valley City, North Dakota. 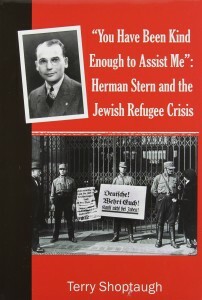 In 1934 Herman Stern began sponsoring some of his nieces and nephews for American entry visas (which involved submitting an affidavit to the U.S. State Department, and promising to be financially responsible for any immigrant who might have difficulty becoming financially independent). Throughout his seven year mission to rescue German Jews, Stern relied on the help of North Dakota Senator Gerald Nye. A major figure in the American isolationist movement and a man later accused of being an anti-Semite, Nye time and again helped Stern get individuals out of Germany and to America. In time, Stern proposed a plan for settling hundreds of Jewish refugees in several North Dakota townships and began raising money for this purpose; the beginning of the Second World War in 1939 derailed the plan. He continued to respond to requests for affidavits from other relatives, and friends, however, and by finding co-sponsors among members of the North Dakota Jewish community, Stern was able to help more than 140 German Jews leave Germany and come to the United States. For more information, see Herman Stern at TRACES.